Alternatively, if you already have a party of 15, write to us here and we’ll be in touch shortly. Simply apply to be a partner and we will get in touch! GrabShuttle is a new service that allows passengers to pre-book a bus seat from a list of fixed routes. It is available via a separate GrabShuttle application. Do I have to download another app for GrabShuttle? Yes, simply download the GrabShuttle app via the Apple and Google Play stores and select the desired route to make your booking. What are the vehicle models used? A range of different sized vehicles are used depending on the route. All vehicles are air-conditioned. 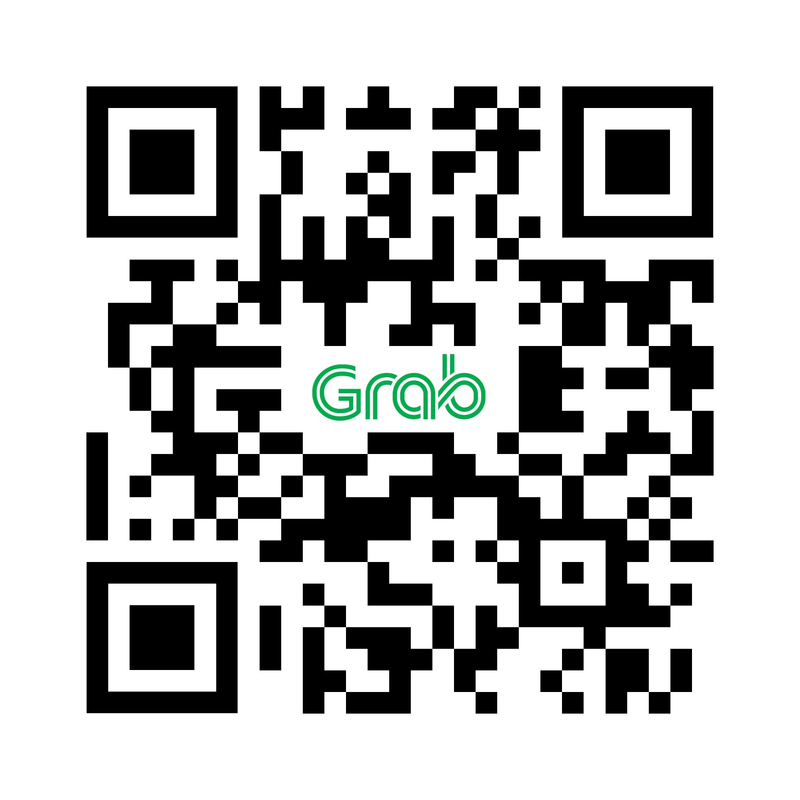 Why should I use GrabShuttle? GrabShuttle allows you to quickly make a booking and get an immediate confirmation, with a transparent fixed fare structure and guaranteed seat. Trips are faster and more direct versus other options and bus locations are trackable in the app. Are the vehicles used licensed and insured? Absolutely. All vehicles and drivers are appropriately licensed and are covered under commercial insurance. How do I create a booking? You can create bookings through the GrabShuttle app. Just browse for your routes and book a guaranteed seat on an express bus to a drop-off point near your destination. Please arrive at the pick-up point 5 minutes in advance. How do I book in advance? After selecting your pick-up and drop-off points from the desired routes, enter the advance booking date and time. Generally, a trip can be scheduled up to a month in advance. Prices vary by route. Please check the GrabShuttle app for details. What days do the bus services operate on? Most bus services operate on weekdays, Mondays to Fridays, except Public Holidays. The schedule for each route can be found in the app. You will be able to book only for the days that the bus service is running. What happens when a route is fully booked for any given day? If all seats have been booked, you will not be able to make a booking for that trip. Can I book my trip on the day of the ride? Booking windows vary by route. Generally, the booking window closes 5 mins before the start of each route. Payment is easy! You can pay via Singapore issued debit/credit cards when you make the booking. Bus drivers will not be able to accept cash nor EZLink payments on board. When will I get confirmation that my booking is successful? Once your payment is made, you will receive details on the confirmed route via an E-ticket in the app. Can I book multiple seats or for other people? This is not supported at the moment. Please advise anyone else interested in booking a seat to download the app and make a booking. Can I cancel or modify my bookings? No cancellations and modifications can be made once a booking is confirmed. What if there are no routes suitable for me? What is a tracking-only route? Tracking-only routes are routes that do not require booking. You can bookmark the route and track the bus location via the app. How do I know the bus is coming? You can track your bus real time on the map. How can I identify the bus I’m supposed to board? Each bus will have a Grab decal on the bus. The vehicle number will also be reflected in the e-ticket. What should I do when I board the bus? Just show your ticket to the driver, get a seat and enjoy the ride. Will the bus wait for me if I am late? No. To ensure that all users get to their destinations on time, all buses will strictly follow their schedules. Please be punctual. What if I forgot my phone and am unable to show the bus driver my e-ticket? You will not be allowed to board the bus. Can I board the GrabShuttle bus if I did not make a booking? No. All seats are by reservation only to ensure that everyone who has bought a ticket gets a seat. Will there be refunds if i miss my bus? No refunds will be provided due to a missed bus or no-show. What happpens when the bus does not turn up? If the bus does not turn up, we will make a full refund for the trip. Please allow up to 1 month for the refund to be processed. How will I know if the bus did not turn up due to a breakdown? If there is a service cancellation, you will be notified via SMS and on the app. What is a Crowdstart route? Crowdstart routes are new routes that will activate when a required number of people pre-order the route pass. What does pre-ordering a route pass mean? By pre-ordering a route pass, you commit money to support the route you want to activate. You will only be charged when the route activates. And you can use the route pass to exchange for trips on the activated route. Will my card be charged if the Crowdstart route is not successful? No. Payment will not be deducted. No one will be charged for the pre-orders if the route is not activated. How can I use the route pass that I pre-ordered? When a Crowdstart route is activated, payment will be charged and you will receive the route pass you pre-ordered. You can use this pass to select any trips available within the 1st month of the activated route. You do not have to claim all the trips at one go. Can I use the route pass on any routes? No. You can only use the route pass on the Crowdstart route you pre-ordered for. Why does Grab save my credit card details for pre-ordering a route pass? Grab does not know your credit card details. Grab only stores the permission to charge the card for the particular transaction you authorise us to make. In this case, when a Crowdstart route is activated, your card is charged for the route pass you pre-order. Can I remove my credit card details from my Grab account? If you pre-order a route pass on Crowdstart routes, you can remove your card from the account easily in the settings after the Crowdstart route campaign ends. Otherwise, this permission is stored for easy checkout in future when you purchase tickets on any routes. Are children allowed on board the bus? Yes, Children are welcome on board. Please make a separate booking for all infant and children. All passenger require a mobile ticket for verification purposes.